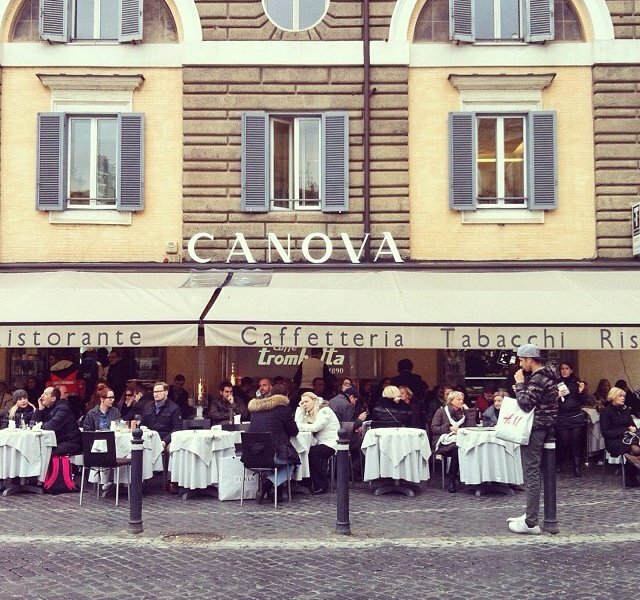 INSTAGRAM – Want to impress the locals on your next Roman holiday? 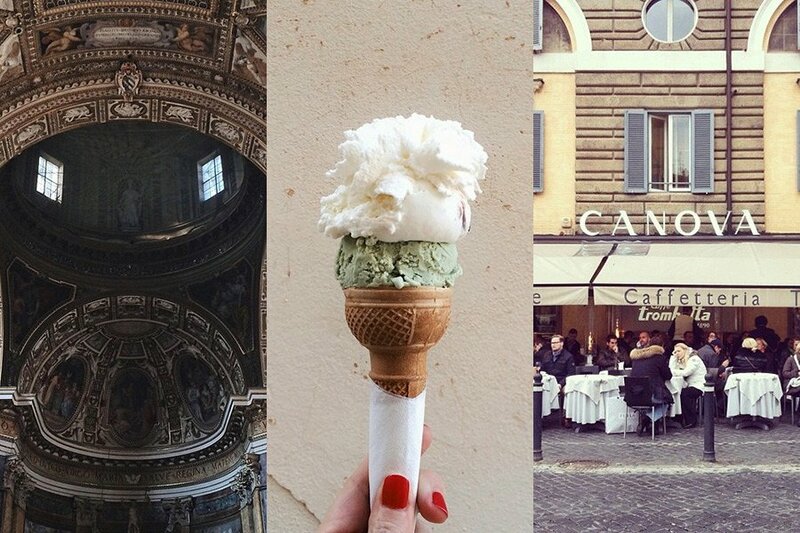 We pulled some of the best photos on Instagram to help you lose your tourist vibe. InstaTrip is a Sunday roundup of the best Instagram photos of the destination or travel theme we're featuring that week. Next up: Wellness Week. Tag photos that show your zen moments #FathomInstatrip before Friday. We'll publish the best ones we find on Fathom. 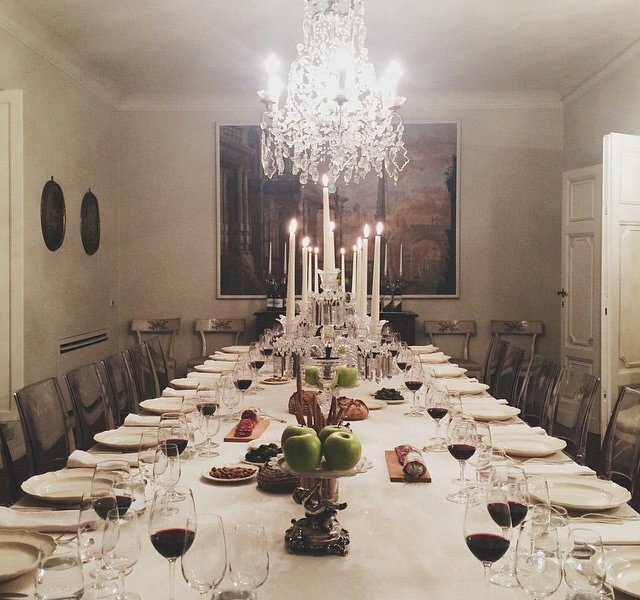 Do not embarrass yourself at the dining table. Know your forchetta (fork) from your cucchiaio (spoon) and your coltello (knife). 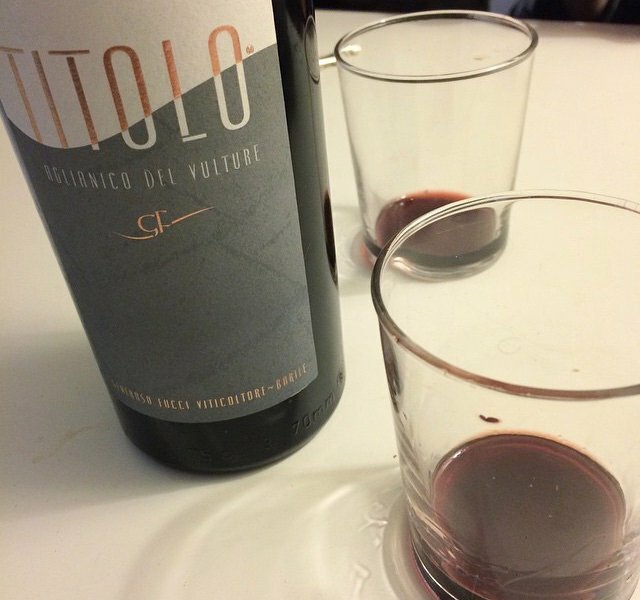 You drink out of a bicchiere (glass) and use a tovagliolo (napkin) to keep things clean. Grab your costume da bagno (bathing suit) and take in the view of the Meditteranean sea at the spiaggia (beach). A bikini is a bikini is a bikini. Ice cream is the country's favorite snack. 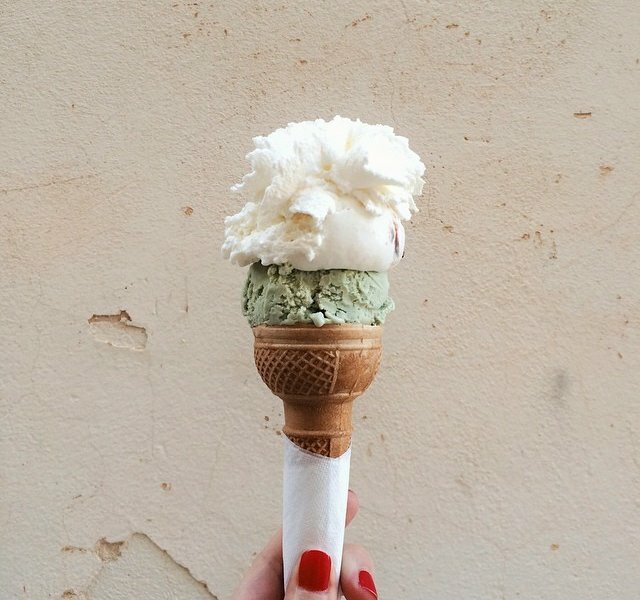 This is a cono of pistachio and vaniglia with panna (whipped cream). 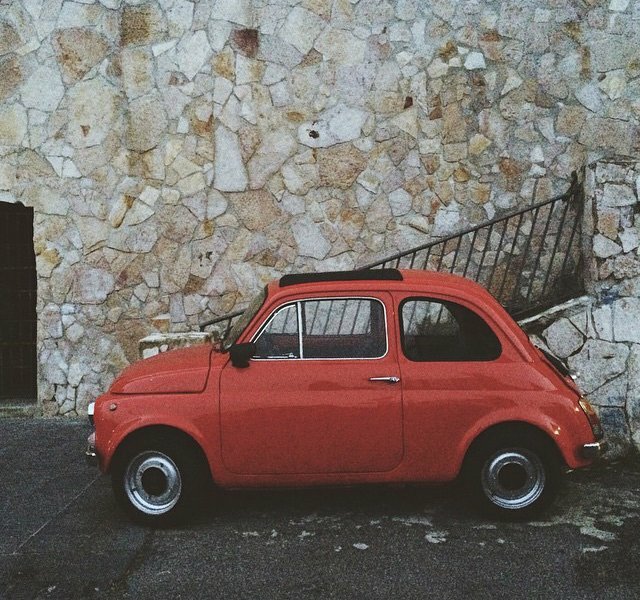 Tiny cars help you navigate the narrow strade (streets) in the città (city). "It's raining buckets," is what they say when it starts to pour. Grab your ombrello (umbrella) if this happens. 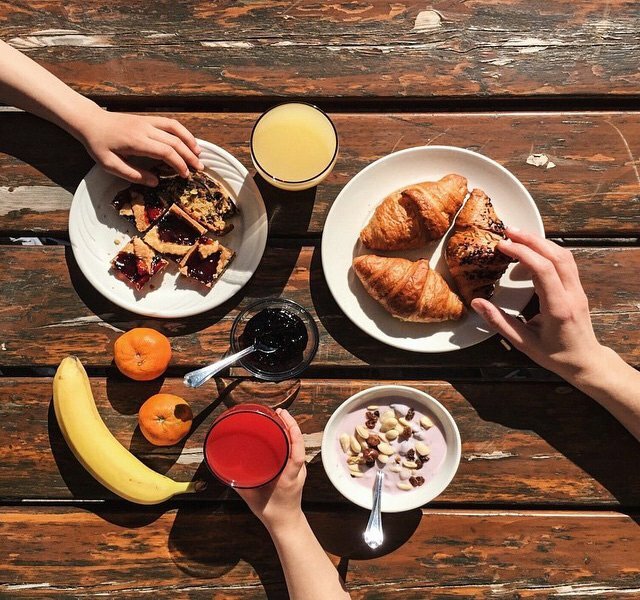 Breakfast is simple. Succo d'arancia (orange juice) and a brioche will tide you over until lunchtime. Fill your glass with vino and make a brindisi (toast) to having the good fortune to be in Italy. 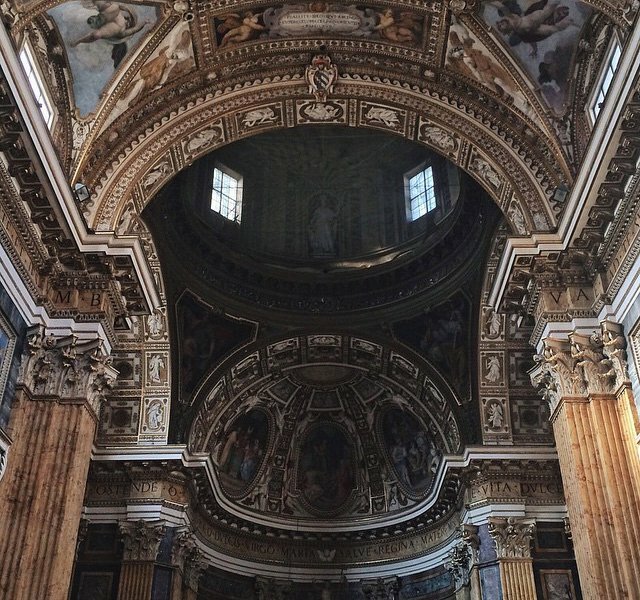 Basilica of the Holy Apostles is one chiesa (church) of thousands in Rome. 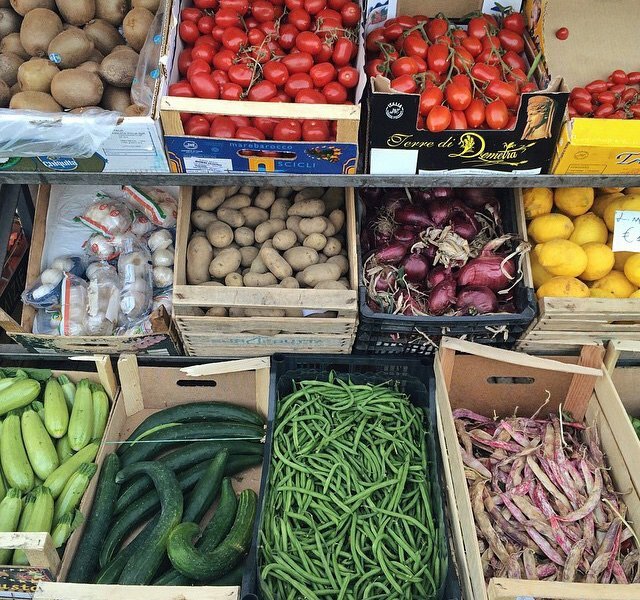 On your list for the market: pomodori (tomatoes), patate (potatoes), cipolle (onions), and fagioli (beans). 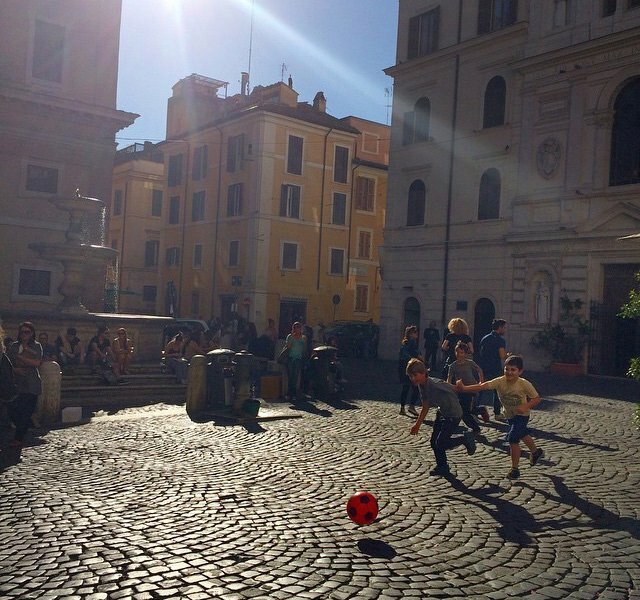 Chances are the kids will be playing a soccer game in piazza (town square). 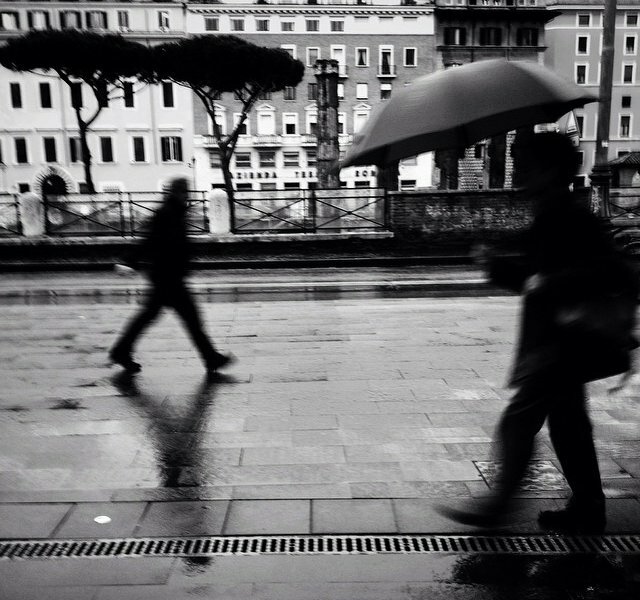 Italians love a good stroll. 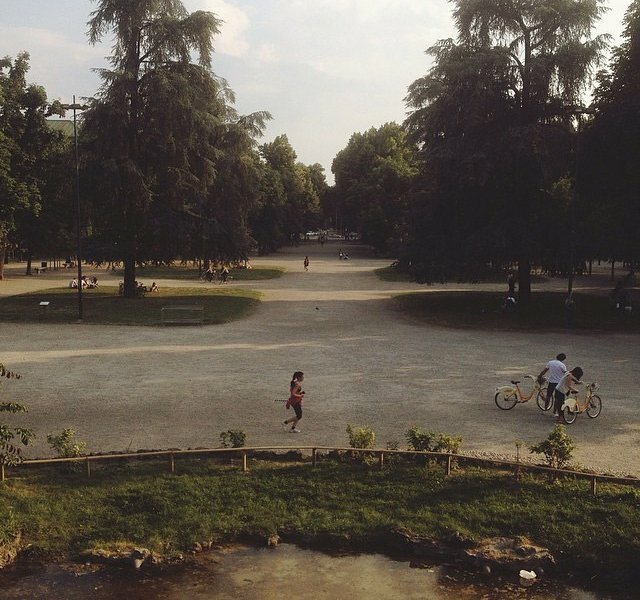 In this case, the passegiata is winding through Parco Sempione in Milan. "In the wolf's mouth" is the Italian expression for "good luck." 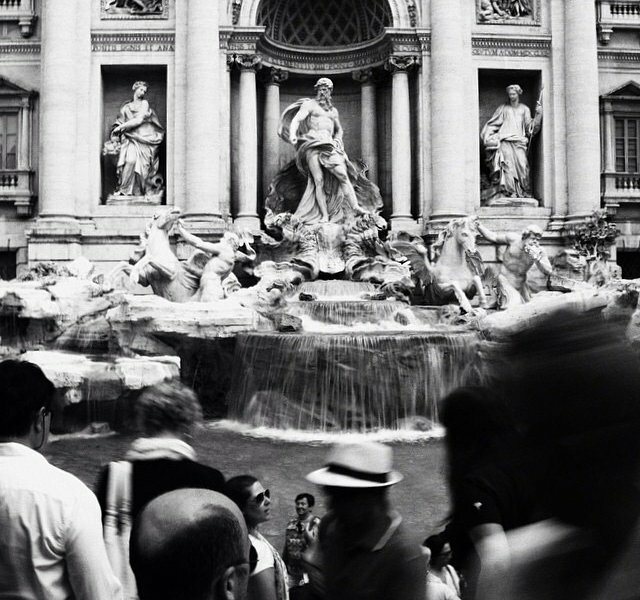 Whisper this to yourself the next time you throw a coin into the Trevi Fountain in Rome.